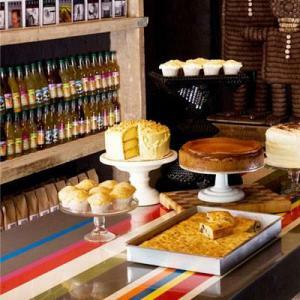 Outsider Tart is an authentic American bake shop and cafe located in Chiswick. It offers not only homemade cakes but also old-fashioned American meals. We recently helped them to refurbish a small part of the premises. As part of the assessment, we went to visit the bakery and we were fascinated with their story. David Muniz and David Lesniak moved from New York to London and turned their passion for cakes into an award-winning business. They started offering their cakes in local markets. A few years later, they opened the bake shop at Chiswick where visitors can choose from a wide range of cakes to take away or enjoy in a relaxed atmosphere. The two Davids have been working hard to make Outsider Tart a success. As a result, it was voted Cafe/Fast Food Outlet of the Year at the 2010 Restaurant & Bar Design Awards and named a 2010 cultural hot spot by the Observer newspaper. In 2013, they expanded the business and opened “Blue” in the premises next door, where they offer American style chilis, soups, salads, and sandwiches. We were impressed not only by the two Davids and the friendly staff, but also with the quality of the products. We tried one of the chocolate cakes with peanut butter and it was simply amazing. We really recommend it! David Muniz was also pleased with the personalised service that we offer at Fair Business Loans: “I really like the fact that you guys came to visit us”. If you want to enjoy one of their amazing cakes, you can visit them at 83 Chiswick Road W4 2EF or at one of the market stalls they have (*). 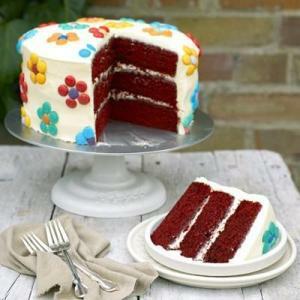 If you are lover of baking, you can try one of the 120 recipes they have included in their book “Baked in America”.